If you enjoyed all the blood and gore handed out by the characters in Mortal Kombat X, then you’ll be pleased to know that the playing field is about to get messier with the addition of the Mortal Kombat X DLC Pack 2 or the Kombat Pack 2, which is set to be released early this 2016. Warner Bros. Interactive Entertainment, the game’s publisher, just released a new trailer for the upcoming DLC pack to get fans revved up for the goodies that await them. The DLC Pack won’t just bring in new characters for players to dish out merciless carnage. It will also add new character skins for already existing characters. Goro will also be finally available to the general mass after being initially an exclusive character to those who pre-ordered the game early in 2015. Aside from the four-armed brute, the new set of characters will be headlined by the Xenomorph from the Alien franchise, along with Leatherface of Texas Chainsaw Massacre fame. The two characters garnered different reactions from fans, however. The former got a warm welcome, thanks to its prominence in pop culture. The latter … didn’t fare so well, with fans lamenting that his spot could have been used for another character. Brazil Pack – New character skins for Johnny Cage, Liu Kang, and Kung Lao. Kold War Pack – New character skins for Sonya Blade, Sub-Zero, and Kano. Sure, most of the new character skins are for the most popular Mortal Kombat mainstays, but you won’t see fans genuinely complaining about it, especially with Scorpion and Sub-Zero. These new additions will further prolong the lifespan of the game, even if a highly-anticipated upcoming fighting game is on the way. 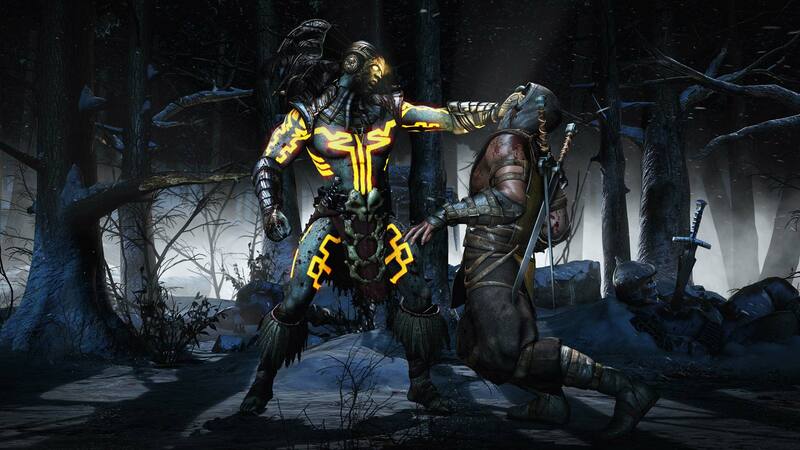 Mortal Kombat X has already proven that it has the chops to hold the attention of gamers, as evidenced by being one of the top 10 best-selling games of 2015. Take the new characters for a spin when the Mortal Kombat X DLC Pack 2 is finally released, and you’ll be guaranteed another round of bloody fights, if the trailer is any indication.